When my friend wefadetogray, a woman with an unquenchable predilection for luxury beauty oils equal to mine, asked me to come up with my top ten list– I struggled to narrow down my selection. Then it occurred to me that if I was to choose the top facial oils of 2014 that I should choose fourteen instead of ten. You will note that I have listed them alphabetically, rather than in any sort of order of preference. As you can clearly see, Aftelier Perfumes and African Botanics are both well represented with more than a single beauty oil selected. The reason for this is quite simple: these two companies produce among the very finest quality luxury oils on the market, and there was no way to select a single oil. It is not an issue of brand loyalty as much as it is my desire to present you with what I find to be absolutely exceptional quality luxury beauty oils that truly stand out in a vast sea of beauty oils. Furthermore, it hardly requires mention that beauty oils are currently very much in vogue, and as a result everyone seems to be trying to get their piece of this over-saturated market. The playing field is hardly level, and while there are excellent beauty oils, unsullied by subpar ingredients, it should also be noted that there are plenty of mediocre ones from the most costly luxury versions to the least expensive mass marketed varieties. 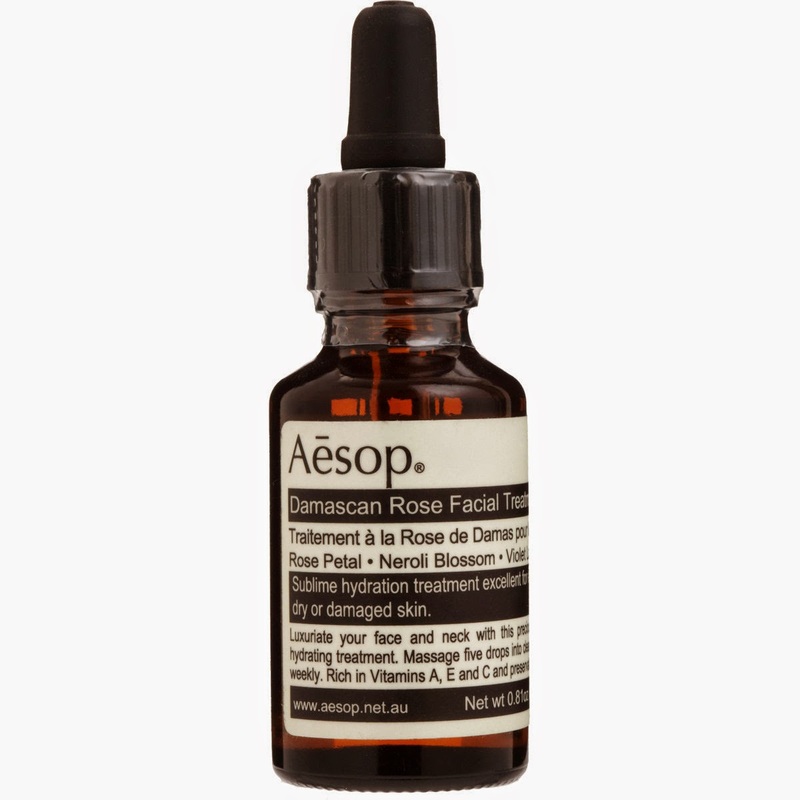 1) Aesop Damascan Rose Facial Treatment (reviewed here): Aesop's Damascan Rose Facial Treatment is a deeply nourishing and moisturizing face oil that will do wonders for dry and/or distressed skin, but it has also done incredible things for my normal/combination skin as well. It is a very concentrated, vitamin infused treatment oil that serves as a potent remedy for skin that needs intense hydration, but is so gentle and nourishing that my skin happily drinks it up and is left soft, supple, glowing, balanced, and very moisturized. I only need a couple of drops that I warm between my hands before massaging it into my slightly damp and warm face, neck and décolleté. It sinks in immediately and effortlessly, and it has an intoxicatingly hypnotic warm earthy rose scent that simply delights the senses. It is neither too rich for my skin, nor has it caused me to break out in the least. It just makes my skin look and feel amazing. 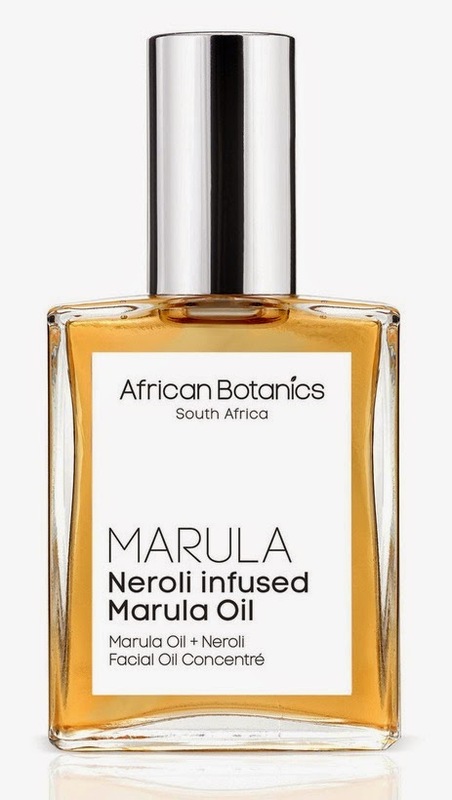 2) African Botanics Neroli Infused Marula Oil (reviewed here): There is something magical about Neroli Infused Marula Oil from the feather light texture to the sweet and understated smell of the Neroli. It is a thin potent oil that immediately sinks in and gets right to work. According to African Botanics, "Marula Oil is lightweight and quick-absorbing, but at the time is very nourishing, thanks to the Omega 9 content of the oil (70% - 80%). It is the fastest way to deliver essential nutrients and vitamins to the skin." As with all luxury oils, I apply African Botanics Neroli Infused Marula Oil to warm and damp freshly cleansed skin. The added slip from the water facilitates quick absorption followed my an immediate radiance and glow. Every single time that I apply this lovely oil (which is quite often) I note that my skin reveals a newfound clarity and evenness of tone. There is an unmistakable luminosity that is so obvious and pronounced that I have been receiving so many comments about how beautiful, clear and glowing my skin is- followed by "what are you using, and did you get a peel or something- your skin is gorgeous!" This is truly the nectar of the gods. Furthermore, the price is amazing-- particularly since most luxury oils only provide a single ounce of product and are often far more expensive. This is a must-have for the luxury oil enthusiast! 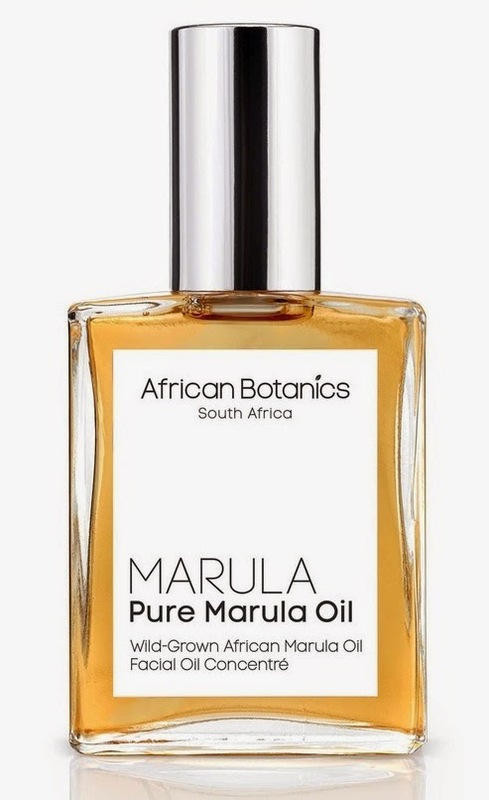 3) African Botanics Pure Marula Oil (reviewed here): African Botanics Pure Marula Oil is a velvety smooth, fast absorbing lightweight oil that sinks into the skin quickly and effortlessly, and it leaves behind no greasy residue. It has a light, warm, sweet scent that is utterly intoxicating. I am continually astonished by the power, efficacy, astounding quality, and beauty of this otherworldly beauty oil. Not only is this one of the most extraordinary and elegant beauty oils that I have ever used, but African Botanics provides double the amount of product than most of the luxury face oils on the market, and at a much more economical price. 4) Aftelier Perfumes Honeysuckle Face Elixir (reviewed here): That Mandy Aftel has raised the bar in the realm of exceptional beauty oils should come as no surprise. Her newest creation, Aftelier Honeysuckle Face Elixir, is less a beauty oil, and more a work of art of exceptional rarity. Indeed, this is perhaps the singular beauty oil against which all other beauty oils will be judged in perpetuity. Aftel describes the Honeysuckle Face Elixir as one that, "features rare honeysuckle absolute from Italy, extracted from the creamy white and yellow trumpet flowers. This sweet heavenly aroma is intoxicating, honeyed, and reminiscent of ripe fruit." 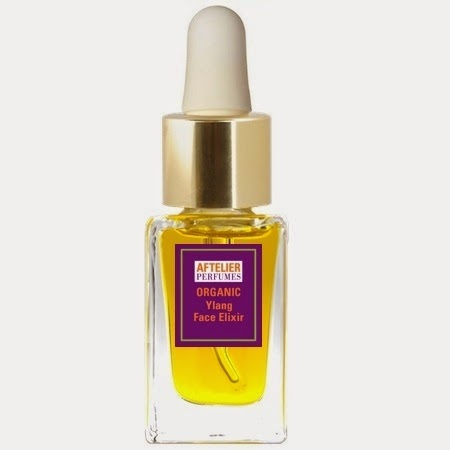 5) Aftelier Perfumes Rose Face Elixir (reviewed here): is a hauntingly beautiful oil based face serum that is absolutely otherworldly in its mysterious mixture of scents. While the top notes reveal the most tantalizing rose that you have ever imagined, it is tempered by a warm depth from the Sandalwood and Frankincense. This is no ordinary rose- it is an intoxicating and titillating scent that reveals an indescribable complexity as it reaches the temperature of the body and melts into the skin. This rose is elegant, sensual, lingering, and utterly addictive. The scent acts as a sweet lullaby urging you to fall into a tranquil slumber when applied at bedtime. Not only does this golden elixir offer a fantastic sensory experience, but it also does wonders for the skin. Organic grapeseed and organic sweet almond, rich in vitamins and minerals, helps tone the skin. Organic rice bran oil reduces the formation of wrinkles and slows down aging. Organic squalene helps hydrate and protect the skin, encourages regeneration of healthy skin cells, and prevents premature aging of the skin. 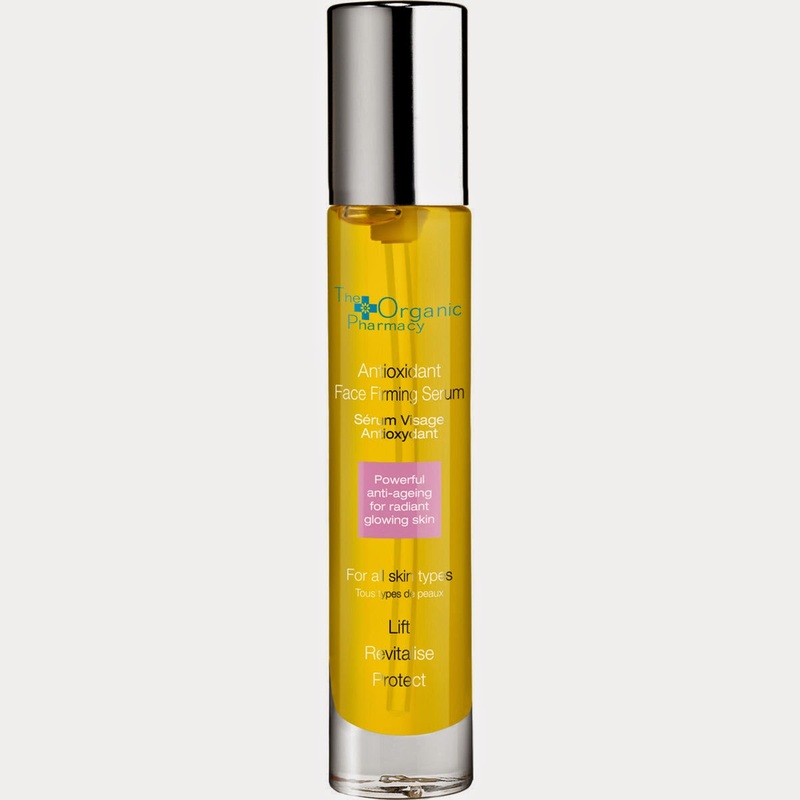 Organic camellia oil, rich in anti-oxidants and vitamin E.
Organic rose hip oil improves elasticity and has a rejuvenating effect on the skin. 6) Aftelier Perfumes Ylang Face Elixir (reviewed here): Ylang Face Elixir is a luscious, decadent and utterly tantalizing luxury face oil. The warm organic ylang ylang is given a greater depth and complexity at the hands of the creamy floral blend, and then brightened by the pink grapefruit and blood orange. The result of this commingling of scents is the perfect equipoise, and one difficult to find when attempting to balance such assertive scents. The formula itself is feather-light and sinks into the skin effortlessly. Skin is left deeply moisturized, delectably soft and supple, and with an unbelievable healthy glow. The aromatherapeutic benefits of this magical formula will calm the mind and body while deeply nourishing the skin. Everything about experiencing Ylang Face Elixir is extraordinary from holding the beautiful jewel-like bottle in your hand, to using it, and then finally to carefully returning this precious elixir back to a place of safe-keeping. The entire ritual is the epitome of modern luxury because the tactile experience is so extraordinary that if encourages you to slow down and savor the entirety of the experience. This fresh and floral organic nourishing treatment for the face is immediately moisturizing, softening, and conditioning. 7) Aroma M Perfumes Camellia Face Oil (reviewed here): Aroma M Camellia Face Oil is a delightfully lightweight and fast absorbing serum that is at once soothing, healing, nourishing, and utterly delectable. The scent is one in which the Jasmine, Neroli and Geranium are tempered by the Frankincense and Evening Primrose– the result of which is a warm rich sweet scent that pleases the senses. 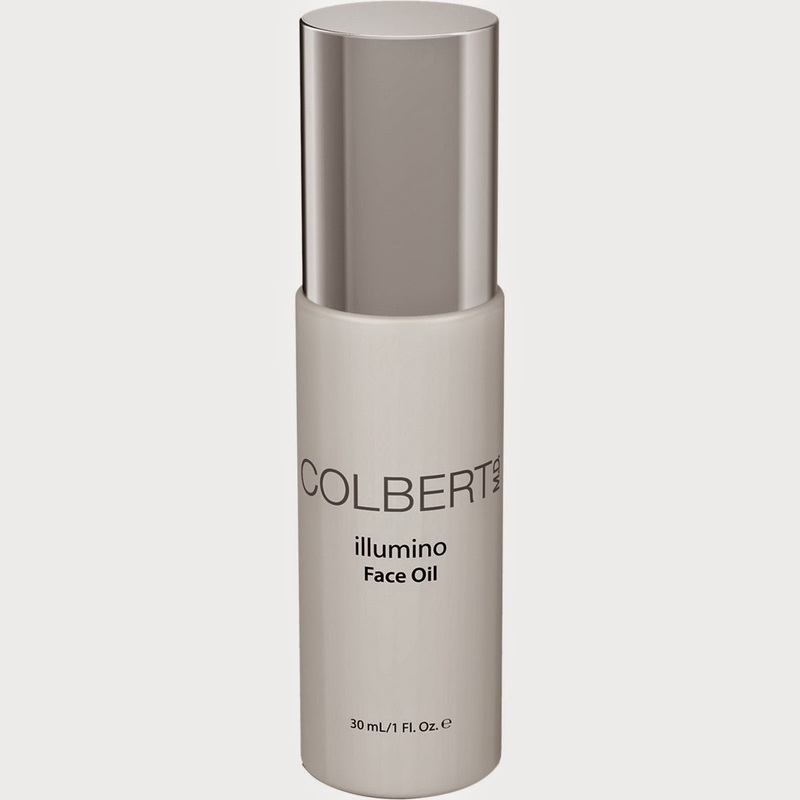 8) Colbert MD Illumino Face Oil (reviewed here): The first thing that one notes is that this is no ordinary oil. It has a thin water-like consistency that allows it to sink into the dermis faster, and presumably deeper, than any other oil that I have tried. Therefore, the efficacy of this delivery system is peerless among all of the luxury beauty oils that I have tried. Furthermore, among the ingredients is the brilliant addition of retinol-- thereby making this one of the most advanced anti-aging beauty oils on the market. The result of the advanced technology employed in the creation of this face oil is glowing soft youthful skin. Illumino is an apt name given that skin boasts a luminous glow that appears lit from within. The difference in the quality of my skin was evident after a single use, no exaggeration. The results were that immediate for me. After prolonged use my skin continues to look better and better (and my skin was in good shape to begin with). 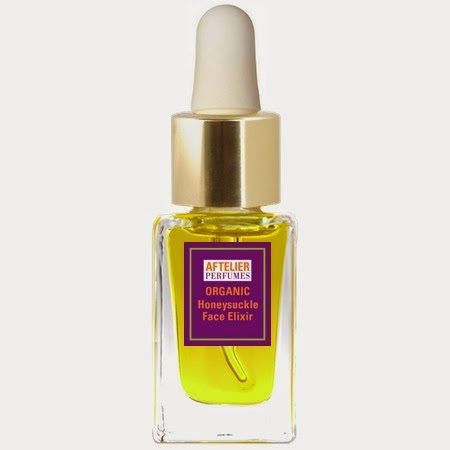 This is also the perfect oil for those who remain fearful of using face oils because it is light and thin and sinks in quickly without any of the "oiliness" that make novices to the world of beauty oils uncomfortable. Once you try Illumino Face Oil, you will understand why it has rightfully earned cult-status among beauty oil aficionados. Additionally, once you try it-- you won't ever want to be without it! The scent is a very pleasant light fruity floral that dissipates very quickly, but is deliciously satisfying. This glorious magical face elixir will delight you because of the featherweight texture, but will truly astound you because of the results. 9) evanhealy Rosehip Treatment Facial Oil Rose (reviewed here): As I stated in my Favorite Oils in August post, "Seldom is it that a product makes such an impression on me that it gets heralded as one of my favorites prior to having been thoroughly reviewed, and yet evanhealy Rosehip Treatment Facial Serum Rose is no ordinary face oil. From the moment that I first tried this during my evanhealy mini facial at Pharmaca with Joan Shure...it was clear to me that this remarkably effective beauty oil was indeed quite special." This stunning amber elixir is nothing short of a miraculous achievement in my assessment because it is tremendously lightweight and fast absorbing, but it is likewise among the most nourishing and hydrating oils that I have ever tried. Not only does it It plumps fine lines and fade hyperpigmentation, but it also evens skin tone and balances the skin. Furthermore skin is left with an unmistakable ethereal glow that one comes to expect from the highest quality luxury face oils, but in this case at a fraction of the price, and it does so without sacrificing a thing. It is an utter delight to use, and the heavenly rose scent is just divine. The gorgeous blend of precious essential oils are, "added to enhance the action of the rose hip seed oil. Their tiny molecular size and lipophilic (oil-loving) tendency make them ideal for curative skin treatments." There is no question that this combination of oils is both profoundly nourishing and has highly effective healing agents, and one becomes aware of this very quickly given how receptive the skin is to this amazingly potent face oil. Used alone this oil is truly amazing, but used in conjunction with evanhealy Hydrosols the effects are even more glorious! 10) Rodin Olio Lusso Luxury Face Oil (reviewed here): Rodin created this luxury oil to, "satisfy all her complexion-beauty needs. The result: a perfect potion that is nothing short of amazing! No wonder it’s created a non-stop buzz in the beauty and skincare worlds. Packed with eleven essential oils derived from flowers and other botanicals, this is the ideal liquid moisturizer for anyone seeking a simple solution to hydrated skin and a luminous, light-reflecting complexion. Like magic, it effortlessly melts into complexions that are 'normal,' oily, dry, or any combination thereof, without leaving any greasy residue." Not only are the contents of each bottle expertly crafted from the finest quality ingredients, but indeed the bottle itself is a luxurious minimalist modern quasi-deco glass bottle that lends itself to display-- particularly so for the aesthete. I deeply appreciate that the glass dropper never dispenses too much oil, as is so often the case with pump dispensers, and when you are talking about something this expensive you certainly don't want to waste any product. That said, what pump dispensers lack in elegance they make up for by maintaining an air-free environment which undoubtedly stretches the shelf life of the contents of the bottle. I store my skincare products in a cool dry cabinet that is not subject to fluctuations in temperature, and that is not exposed to light, and frankly I find this product so addictive and satisfying to use that I highly doubt that there is any chance of it spoiling before I get through the bottle in its entirety. Still, I do think that a pump would have been a more pragmatic choice. Furthermore, I do live in a bit of fear that one of the cats could spontaneously prance or scamper across the counter and knock the bottle over when the dropper was removed during use- which would amount to one seriously expensive prance or scamper. No wild claims are made that this ultra luxe oil will immediately eradicate the ravages of time, or that it is the ultimate fountain of youth culled from a newly discovered region in some far off exotic land, or that it will immediately make you appear 10 -20 years younger. My skin looks clear, bright, rested (even when I am not), even-toned, moisturized, utterly hydrated, and deliciously glowing (not greasy, but lit from within and healthy). Ingredients: Jasminum Officinale (Jasmine) Oil, Prunus Amygalus Dulcis (Almond) Oil, Simmondsia Chinesis (jojoba) Oil, Oenothera Biennis (evening Primrose) Oil, Rosa Canina Fruit Oil, Arnica Montana Flower Extract, Calendula Offincinalis Flower Oil, Citrus Aurantium Dulcis (orange) Flower Oil, Helianthus Annuus (sunflower) Seed Oil, Argania Spinosa Kernel Oil, Benzyl Benzoate, Linalool. 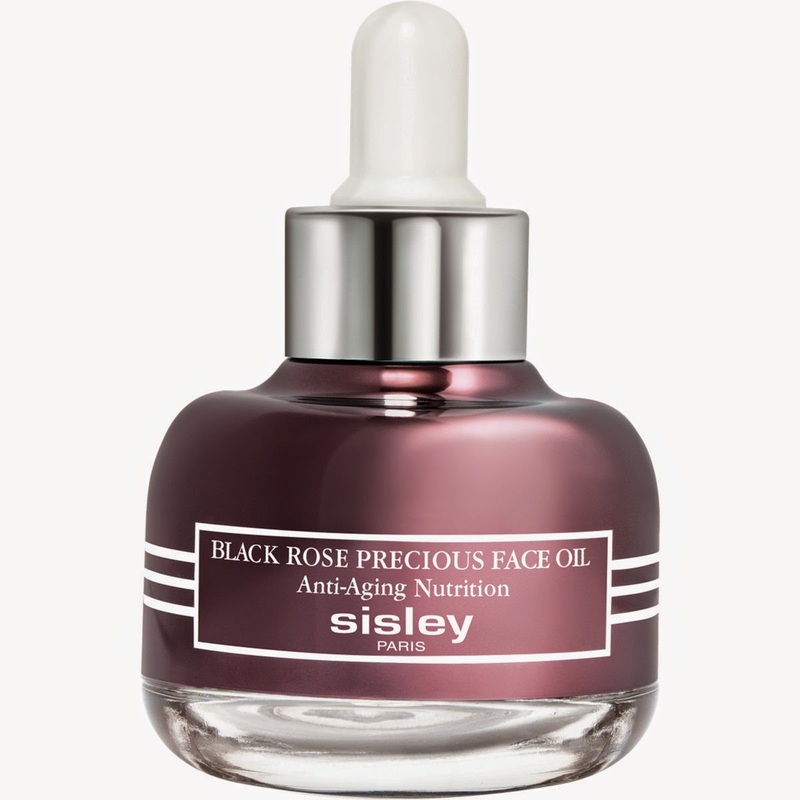 11) Sisley Black Rose Precious Face Oil (full review forthcoming, but mini review found here): Black Rose Precious Face Oil is Sisley’s first skin care oil for dry or mature skin. With a high concentration of active ingredients, this silky-smooth dry oil prepares, and nourishes with an anti-aging effect. Black Rose extract lies at the heart of the formula and lends a wonderful silky softness. It is combined with essential oils of Bulgarian rose and magnolia, which have toning and soothing properties for a delicious awakening of the senses. Visibly smooths wrinkles and fine lines, and revitalizes the skin for a radiant complexion. 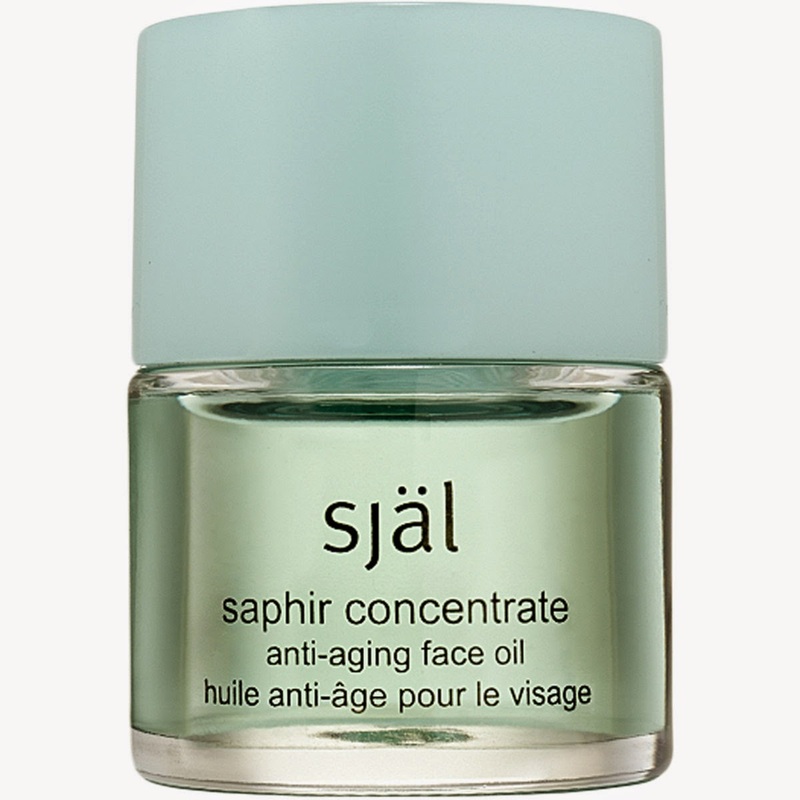 12) själ Saphir Concentrate Anti-Aging Face Oil (reviewed here): This utterly lavish jewel soaked beauty elixir has a feather-light consistency that soaks into the skin quickly, and it immediately imparts a luscious and luminous glow. The scent itself defies easy categorization, though one does detect the delightful citrus notes. I would say that the evocative scent is simultaneously calming and intoxicating, and once I begin using it with regularity the scent began to beckon me. I realize that this sounds a bit crazy, but once this luxury oil gets under your skin it quickly becomes a highly craved part of one's beauty routine. There is something irresistible about the sensory experience that is only matched by the astounding results of this anti-aging masterpiece. 13) TATCHA Camellia Beauty Oil (reviewed here): TATCHA is among a short list of companies producing luxury niche skincare products of exemplary quality that are so exquisite, elegant and breathtakingly beautiful, down to the most minute detail, that one finds oneself enraptured by the visual and tactile aspects of these lovely gems. The sheer efficacy of their beautiful products is what keeps TATCHA enthusiasts forever loyal to the brand, and it is very easy to see why. 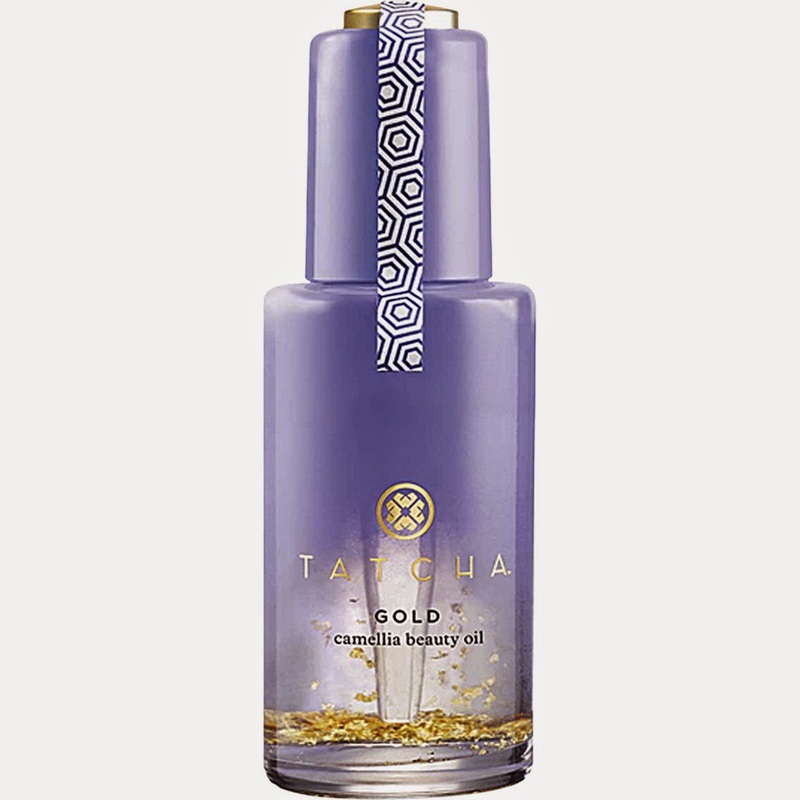 TATCHA GOLD Camellia Beauty Oil is among those extraordinary beauty oils that quickly distinguishes itself from the many run-of-the-mill oils on the market. Not only is it made from the highest quality ingredients, but this elegant elixir is featherlight, sinks into the skin immediately, leaves behind no greasy film or residue, and gives skin a stunning ethereal glow. If you are obsessed with luxury beauty oils, as am I, then you owe it to yourself to try this one. 14) The Organic Pharmacy Antioxidant Face Firming Serum (reviewed here): First, it must be said that this beautiful oil has the intoxicating scent of Sweet Orange- therefore upon application you are assured of a magnificent and visceral sensory experience. This brilliant concoction boasts a high concentration of the powerful Alpha Lipoic Acid, a known powerful antioxidant, that helps to prevent cell damage by scavenging free-radicals. The high concentration of Rose Hip Oil is rich in transretinoic acid and essential fatty acids, and is clinically proven to reduce the appearance of wrinkles, fine lines, and also helps to reduce scarring over time. Sweet Orange helps prevent capillary fragility, and Carrots are rich in Beta Carotene (part of the Vitamin A family), and are rich antioxidants that protects the skin against free-radicals. Lemon (Citrus Limonum) lifts, tones and exfoliates the skin, and does so in an immediately visible way. This is also to say nothing of the fact that my skin is left soft, supple, and deeply moisturized and hydrated. What are your most beloved luxury face oils? Press Samples & Purchased by Me. All views expressed are categorically my own (Affiliate Links). Such a beautifully-compiled list, Helen! The Sisley one made it to my 2014 favorite list as well. I need to try more of these fabulous dry oils once I manage to use up the ones I currently have! Thank you, Sunny! I thought that I had left a comment on your Best of 2014, but sometimes they seem not to publish unless I use Firefox. Your list of favorites is truly extraordinary! The Sisley oil is such a gorgeous velvety texture, and works wonders on the skin! I also need to use up a few of mine before buying any new ones! My favorite face oil for the past few years has been "C" Perfect Skin by Nieves. It's a blend of Evening Primrose oil, sesame oil, jojoba oil, squalane, Ascorbyl Palmitate, frankincense, benzoin, lavendar, rosemary, cedar, palmarosa, and rose essential oils. It has an earthy/herbal scent that I've grown to love. Next on my list to try is Clarin's Lotus Face Treatment oil, but I've been restraining myself as I've still got half a bottle of the "C" Perfect Skin left (it's a 2 oz. bottle, lasts forever).. I always enjoy your face oil reviews! The C Perfect Skin sounds really lovely, and that blend of oils sounds like a very nourishing, and delightfully earthy scented oil! Wow, it's rare to see oils in 2 oz. bottles– African Botanics is one of the few that I have seen. Clarins makes lovely face oils, and they have been doing it longer than just about anyone! I'm glad that you enjoy my face oil reviews– there are plenty more to come! Happy New Year! I need to try some marula oil! Then you must consider African Botanics– their Marula Face Oils are truly amazing! Marula Oil is amazing for the skin! Thanks Jessica! I felt that it warranted an explanation. Those two companies are so extraordinary that I couldn't help but include more than one of their oils! Thank you for this wonderful compilation of your favorite face oils. As you stated, I love them and I cannot wait for my skin to be able to receive their nourishing properties again. Hormones, stress, allergies, vitamin deficiencies and all sorts of bodily inconveniences prevent me from enjoying them now. May 2015 bring a more stable corporeality! I am tempted by many I haven't tried my dearest one: Colber and Aesop being at the top of my list right now. This list is just wonderful! Your knowledge of good skin in a bottle knows no bounds my twinster. I imagine your skin is gloriously smooth and glowy! I always wear my oils at night since I find they disturb the wear of my foundation. How do you manage? Do you use a primer and sunscreen afterwards? How do you apply serums? or do you prefer to use serums at night? Sorry for the flurry of questions my sweets and once again so many many thanks for a wonderful post and congratulations on an amazing oil collection! xxxxxxxxxxxxxxxxx hugs to you and the furries! It is absolutely my pleasure! Once your skin reaches a state of equilibrium, I suspect that you will be able to add your delightful oils back into rotation. Indeed, may 2015 bring a more stable corporeality! The Colbert MD and Aesop oils are fantastic possible choices for you when the time comes. I am drooling over this list. I adore the Aesop and have used faithfully for eons. The Sisley, African Botanicals and Tatcha are on my "must try" list. Hi Wonderlusting! Thanks for stopping by and commenting! I'm thrilled to hear that you know just how amazing this Aesop oil actually is! I can certainly see why you have been faithfully using it for a long time! 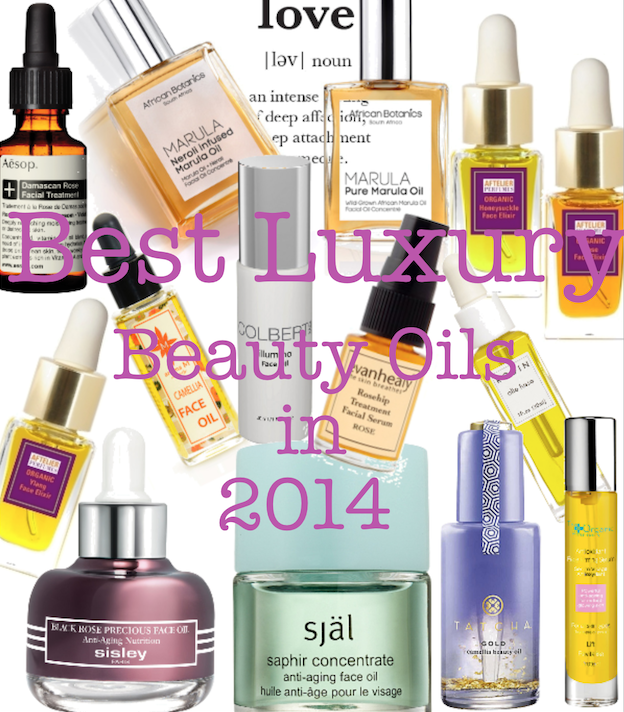 The Sisley, African Botanics and TATCHA oils are definitely worth your consideration. They are of extraordinary quality, and are all such a true joy to use! I hereby proclaim you as the Queen of Face Oils! But seriously, your list made me want to try everything especially Sisley! Thank you, Kath! I am definitely obsessed with face oils! The Sisley Oil is absolutely otherworldly! i found AB's Pure Marula a bit heavy for my face but i do enjoy a pump of it mixed with my body lotion on extra dry days! the scent is delectable. while we're on the topic of marula oil, it's amazing in the hair! i picked up some shampoo and conditioner with cold pressed marula oil in it on HauteLook and after one use my hair was noticeable shiner and softer! i can't wait to see what it does long term! Try this: use less, warm it between your hands, and massage it into warm damp skin. This should resolve your problem, It's lovely added to face and body lotions! I absolutely agree with you about the delectable scent! It makes me so happy every single time that I use it! Ooooh that shampoo and conditioner with cold pressed Marula Oil sounds amazing!!!!! The Colbert MD, evanhealy and själ oils are A M A Z I N G! You really can't make a bad choice with these three. The själ oil makes me deliriously happy (all of them do, actually), but there is definitely something amazing about the he experience of using it from holding the beautiful bottle to smelling and feeling this exceptionally high quality oil! The Dermstore discount might really make it worth the plunge! Right, your no buy! Can't it be justified somehow under the winter skincare needs category- LOL! errrr... maybe if we were on the east coast, i could justify it under winter needs. in la, i just don't think we have it that bad :P as blogging research, however... after all, i got to have stuff to review for the new year right? Well, our weather is certainly quite mild compared to other parts of the country, but I still make lots of adjustments to my skincare routine this time of year. It's cold outside right now, and we have the heater on, and that alone alters the needs of my skin. That said, you are on a no buy! i don't use the heater to prevent havoc to my skin. i just huddle under a mountain of blankets :P usually, i would be making more skin adjustments but my skin doesn't feel as dry lately. maybe an increased efficacy of my omega3 supplements? That's a good call– the fewer extreme fluctuations in the temperatures that your skin is exposed to the better! It has been getting so cold at night, and we keep putting on the heater (nearly 100 year old house, not as well insulated as it could be). I would think that the increased Omegas could definitely be making a difference. that's a lot of oils! What's more frightening is the fact that I have many many others! These all sound wonderful! If I ever decide to treat myself to a luxury oil, I'll use this list as a reference :). Thanks, Deborah! They really are exceptional quality luxury oils! The evanhealy oils do not have luxury price tags, and they are utterly amazing! Wow! What a labor of love! This is such a delightful and informative post, Helen. One of the things I love about oils is that there seems to be one for every skin type; every skin condition. It's just a matter of educating ourselves regarding the merits of each oil and then experiemnting a bit with the ones that are likely to be good matches for our skin's particular needs. It doesn't take long to figure out which ones work best and under what conditions. Thank you, Eileen! This means a great deal to me coming from you! I absolutely and completely agree with your assessment! You are certainly right that our beloved oils are not a substitute for retinoid acid or the many excellent non-oil face serums, but you are quite right that great oils (hello Sisley and TATCHA) can easily replace heavier creams. Having seen your beautiful face in person, I can emphatically say that you are proof positive that gorgeous skin does not require the use of a face cream! I agree with you about completely about how oils can transform nails and cuticles– I have ad the same experience! :-) Happy New Year!!! This post has inspired such lust in me! Trust me, I know just what you mean, my friend! I had so much fun playing with all of the oils and narrowing down my selection! These are just such extraordinarily lovely creations! It's funny that you have been contemplating the själ oil– I have been using it day and night for the last several days, and am so inspired by it! You can't go wrong if you choose it, and as I said in my last response to you, in my review of it, getting it on sale from Dermstore would be a coup! $35.00 is a hefty savings! so many new oils to try!!! These are definitely really amazing oils! As you can probably tell, I am completely obsessed with face oils! What a list! Thank you for being so in depth with it! Oh, the ByTerry didn't make the cut! That's where I was leaning based on one of your earlier posts. Now I am leaning toward The Organic Pharmacy since hyperpigmentation (acner scarring) is one of my biggest concerns. Is this still among your favorites for this particular concern? Also, which is your favorite based on scent alone? I recently smelled the Sisley and couldn't believe how heavenly! This is my first time commenting, so thank you for your blog - I really appreciate your in-depth and thorough discussions! I actually still love and use the By Terry Huile de Rose all of the time. It was the very last oil that I eliminated from the list, and had I done 15 oils (instead of 14) it would have been included. The reason that I cut it was because I already had 4 rose-based oils on this list. I wouldn't want to dissuade you from Huile de Rose, because I have nothing but good things to say about it. The Organic Pharmacy Antioxidant Face Firming Serum is most definitely one of my most loved and used oils. It smells wonderful, feels wonderful, and really makes quite a difference in the quality of my skin. I'm nearly about to open a new bottle because I am currently getting close to finishing my current bottle up. 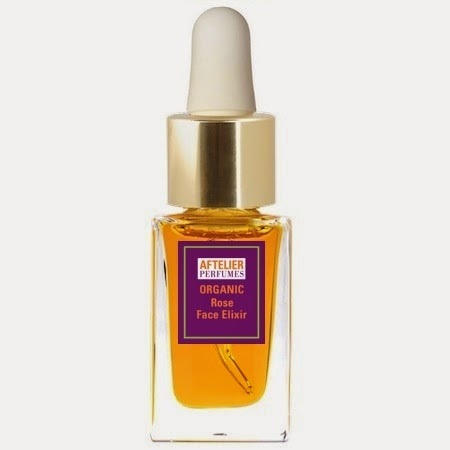 If I had to pick a single oil based upon scent alone, I would probably have to pick the Aftelier Face Elixir in Honeysuckle. It is the most unique and intoxicatingly beautiful face oil that I have ever smelled. This is no casual statement because as you can probably imagine I have amassed a huge collection of face oils, and I am afraid to count, but it is far far far more than the 14 shown here. It is an astounding creation, and it is so heavenly that I often open the bottle just to smell it. Mandy is a genius and an artist, and each of her creations are lovingly handcrafted. I have to completely agree with you about the Sisley Black Rose Oil! It is utterly divine smelling, and it makes the skin feel like velvet. I will review it soon, but I can tell you right now that I find no fault in this oil whatsoever! You are so very welcome! Thank you for taking the time to leave a comment– I hope to get to know you better! Which one(s) would you recommend for very dry skin? The Sisley Black Rose and Aesop Rose Damascan Rose are excellent choices for drier skin. I also think that the Aftelier, African Botanics and TATCHA oils would work well. The Aesop oil is specifically intended for drier more mature skin, and it is extraordinarily nourishing. It also works tremendously well on my combination skin!